we're busy these days! mostly, because this little boy can't sit still. i thank my lucky stars i created a schedule and stuck to it, because it makes life so much easier if i know what we're going to do with our time. not to mention what it does for his development. i find when i deviate from it, we end up shopping and running around town. and, spending the day in a car seat and in a stroller is really no fun for a toddler! he's still an awesome eater! this kid will choose cauliflower and blueberries over candy! i love hearing words coming out of his mouth. his new one is "bye". he tells everyone bye. and, if he's ready to leave, i'll hear it a thousand times until we make an exit. LO wants to explore and use his hands. so, we hang out in the garden. 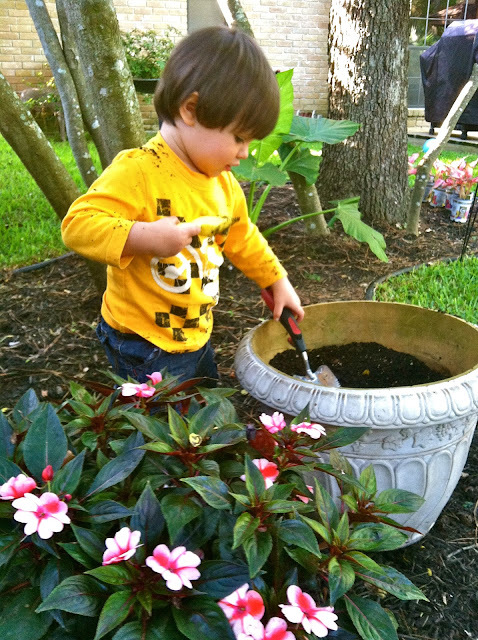 of course, he loves playing with dirt, and he loves watering the plants! the grocery store is a haven. he can't resist the samples! he tells me "no" when i pull the camera out. he still loves his daily bike rides. LO pats his cute little head and says, "hat, mama, hat", and i know he wants to hop on the "bithe-kool"! he begs to ride on "dada's" shoulders. being able to reach the counter changes everything! this was as much my fault. we chill at the park. 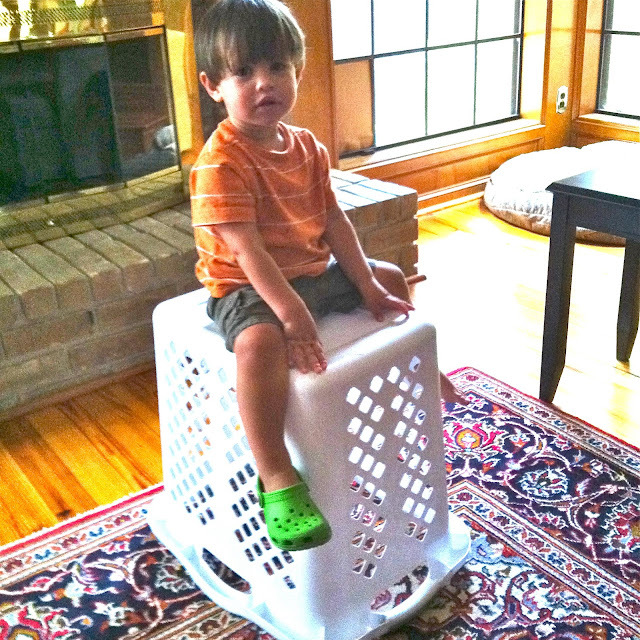 not only is he taller, but he can climb! and, he loves his "dada"!